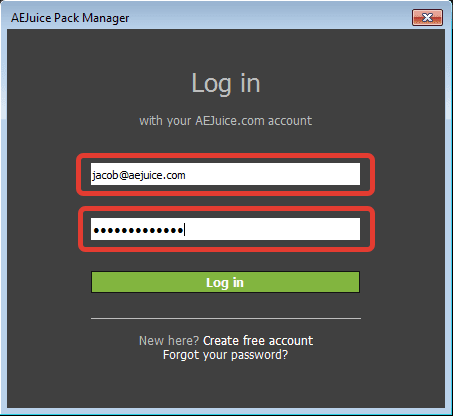 AEJuice › Support › General › How to install and activate purchased products? 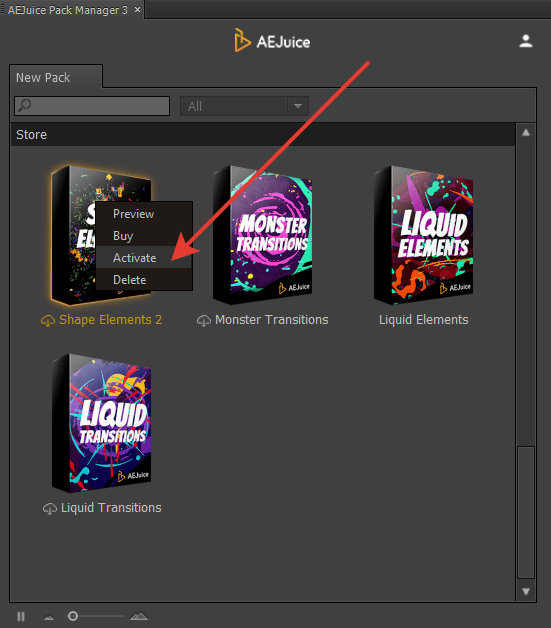 How to install and activate purchased products? We assume you have installed a Pack Manager plug-in. 1. 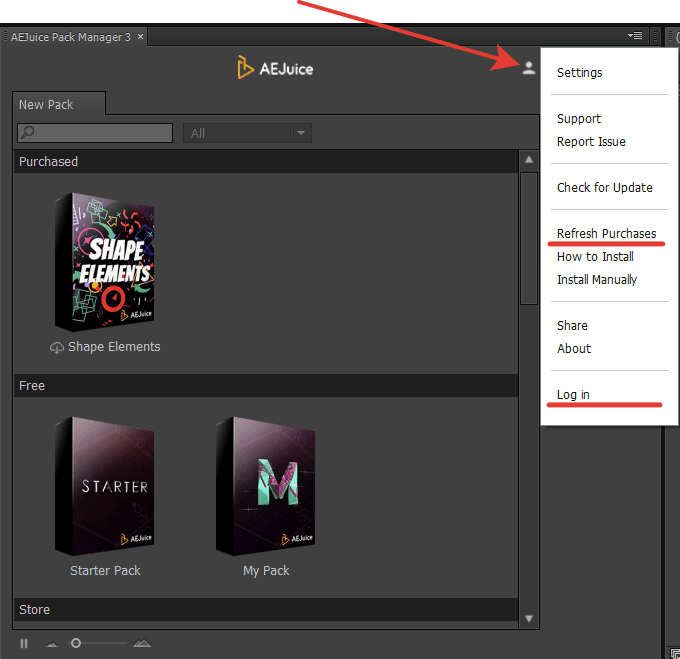 Press Account icon – Log in or Refresh Purchases. 1. Right click on the box – Activate. 3. Paste your purchase code and press Activate. Where do I find my purchase code? Experiencing an issue with an automatic download? Try manual installation. Download and unzip the purchased file (AEJuice, Videohive). 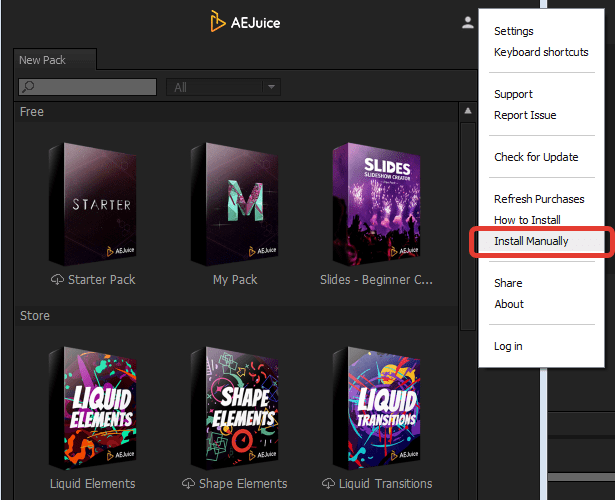 Press Account icon – Install Manually. Select the file with an .aej extension. Activate a package using one of the methods above.